autumn/winter tartan trend nail art DIY! 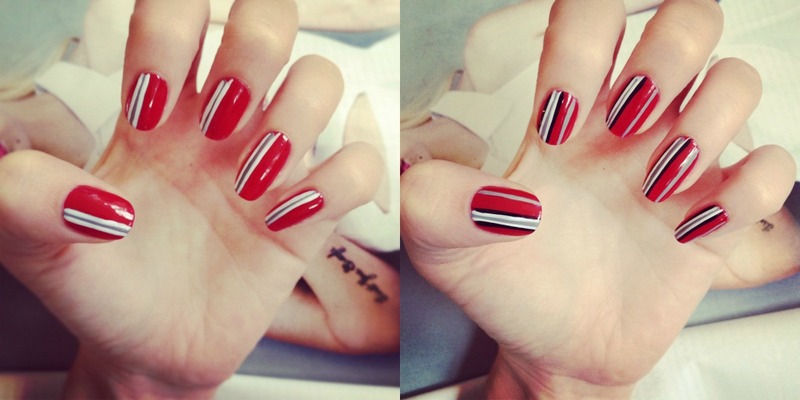 I'm always on the hunt for new nail art! 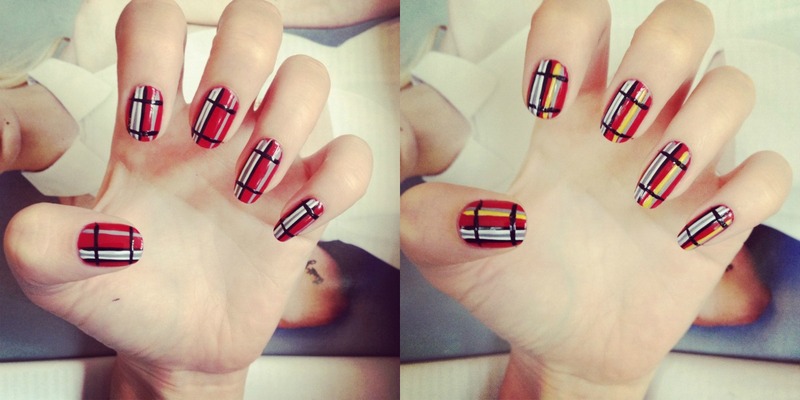 when I was at the look show last week I spotted several of the guests wearing tartan and thought to myself hmmmm tartan nails? anyway here's what I did if you fancy trying it yourself... the good thing about tartan is you can change up the patterns and colours to create your own! I started off with a berry red base coat called lipstick from american apparel. next I applied a thin grey line slightly off centre. now is the time to crack out your nail art pens or fine brushes as the stripes need to be thin! I outlined the grey with fine white lines either side, once dry I then outlined again in black. 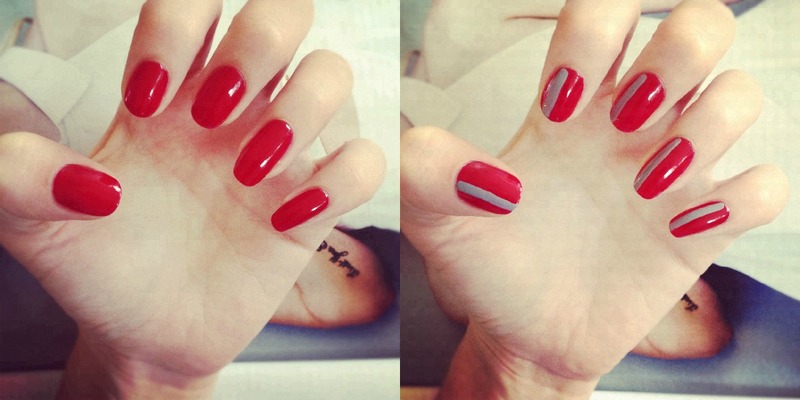 then I applied a fine grey line on the opposite side of the nail. next I applied two horizontal black lines across the nails. I wasn't quite happy at that point so I added one more vertical stripe; this time in yellow for contrast. I didn't have any pictures of tartan for guidance so I stopped at this point. 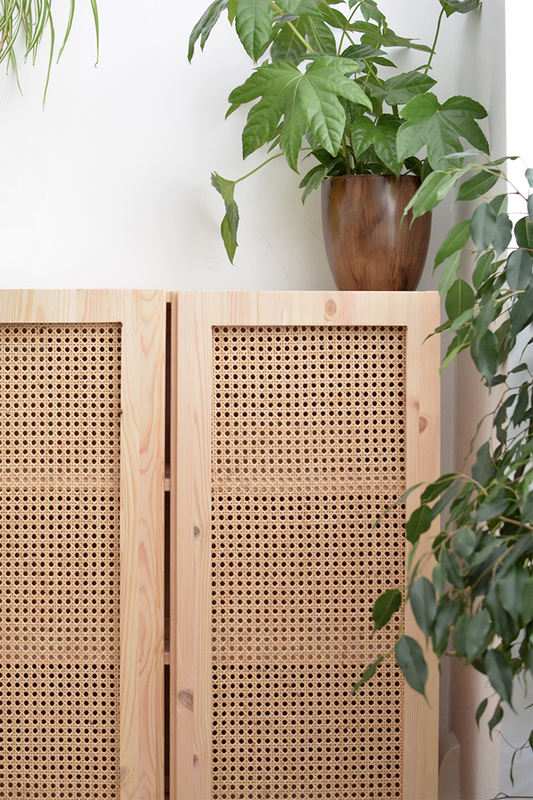 after looking at some patterns I would now recommend adding another horizontal stripe under the top one to create a bit more depth! overall it's not the hardest nail art I've tried; the key is getting the stripes fine and straight, so relax and keep your hands on a flat surface! hope you like them! 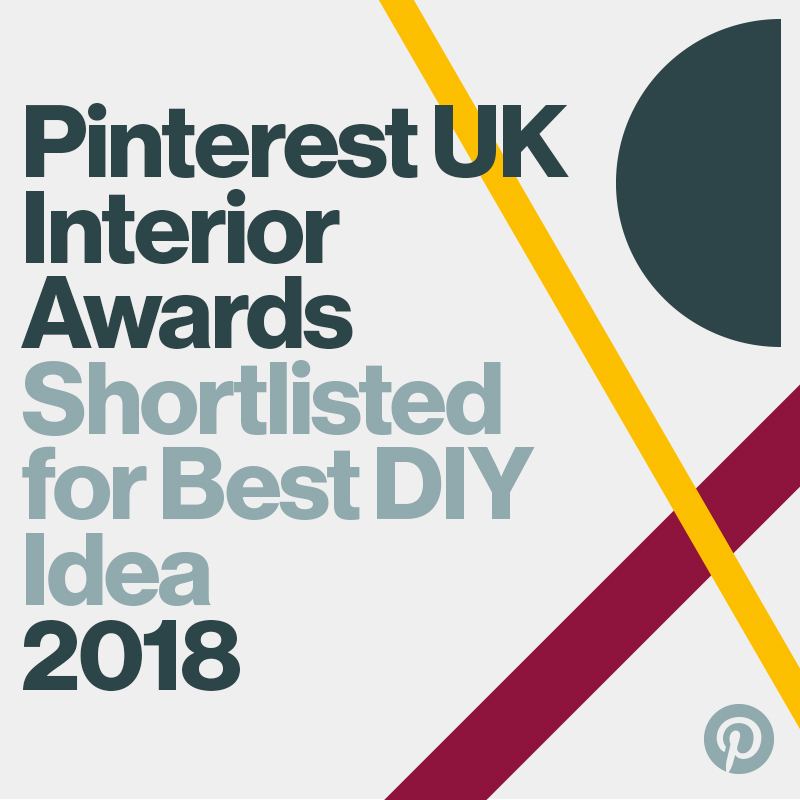 good luck fellow nail art lovers! Love it! 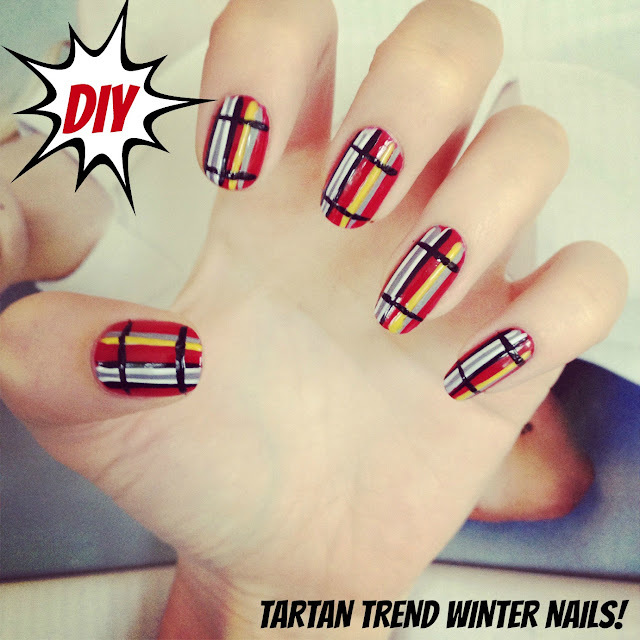 I've never thouh of tartan nails, they look great!